This exclusive program runs from August 27 - August 31; Monday - Friday from 10:00 - 15:00. This program will be followed by care/adult supervision until 16:00 for those interested. 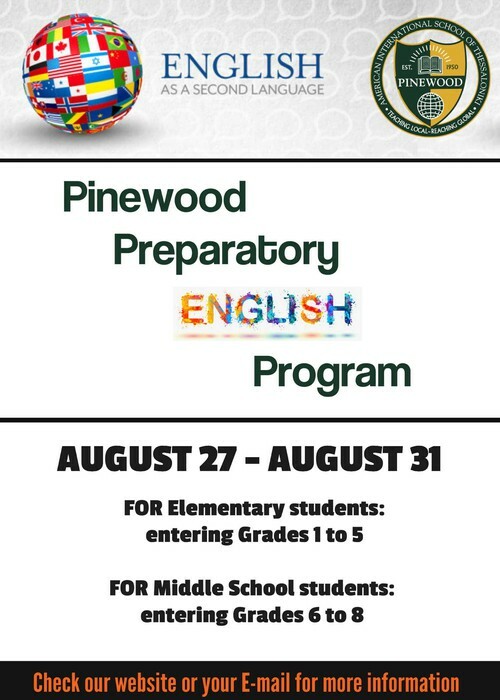 For Elementary Students entering Pinewood Grades 1 - 5 and Middle School Students entering Grades 6 - 8! SIGN UP NOW to reserve your place in this exclusive program, easing students into English, ready for the new school year ahead!